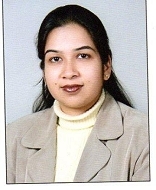 Dr. Deepti Sharma is an Associate Professor in Department of Computer Science at Jagan Institute of Management Studies, Rohini, Delhi. She has done her Phd from IGNOU in the area of Cluster Computing. She has more than 13 years of rich teaching experience. Her research areas include Distributed Systems, Big Data Analytics, Data Sciences and Mobile Banking. She has published more than 17 research papers in various International conferences and journals. C with Linux MTIM, Delhi 30th October, 2014.